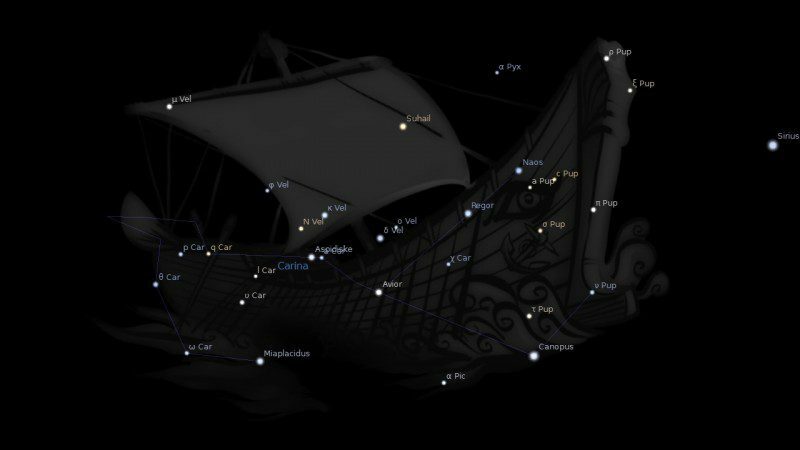 Fixed star Markeb, Kappa Velorum, is a binary star system in the Sails (Vela) of the Ship, Argo Navis constellation. Its traditional name is Markab but is spelled Markeb to differentiate it from the star Markab in Pegasus constellation. Markab is Arabic for something to ride. 1. Fixed Stars and Constellations in Astrology, Vivian E. Robson, 1923, p.30, 175. 2. The Living Stars, Dr. Eric Morse, 1988, p.162. 3. Fixed Stars and Judicial Astrology, George Noonan, 1990, p.67. 4. The Fixed Star Health and Behavior Imbalance, Ted George and Barbara Parker, 1985, p.75. My natal Mercury is Virgo 29. It’s also my final depositor. Does that emphasize a wide knowledge and interest in educational work? You know Virgos love knowledge. Yes, I work at a teaching hospital. Life is education too – every event an opportunity to learn and grow from. Drowing! have you read all this inmigrants losing their lives in the Mediterranean in packed boats that sink, they are thousands already and these days some more. Some, 70 dead persons found without oxigene in a wagon for frozen food in Austria and some others in the bottom of a boat, locked there because they had not enough money to be out in the boat. They died from the motor engine gases and lack of fresh air. Neptunian stuff, also I imagine now, with a Full Moon in Piscis and the whole thing, what´s next in the news… terrible. Mercury stations direct on the star Markeb on October 9, 2015. That’s great Krista, could be a lot worse. My natal Saturn is also at 27 degrees Virgo but it makes an opposition to natal moon 🙁 although it also makes a wide sextile with natal Venus 19.12 Cancer and has Jupiter at 10 degrees orb (17.14) would this mitigate the opposition ? hmmm, my mars is conjunct at 27 degrees. Any comment? Hi Ben, I think this would help a career in business, a competitive edge in trade. Would love to see what you think after a while. I’m hoping that the comment will add so much to the old interpretation and missing ones. I have been feeling curiously much more confident the last few days after a diffident timid summer. It seems almost a shock, like a gray cloud has lifted. I’ll keep you informed. My mars has just left the 12th house, that is what I attributed it to. Any specific length of time you are interested in? Whatever works Ben, good to hear things are on the up. I have this with Pallas conjunct Regulus, any thoughts? I have Sun on Markeb and this blog is an example of my interest in Jupiter themes like research, learning, higher education. I also love travelling. With Mars on Regulus I would say Pallas there gives you courage and defiance. I have written about Asteroid Pallas. Okay, looks like I’m going to be busy (again) on google tonight, new voyage of discovery! Finding the fixed stars, are like estoteric gold! Can I ask what the retrograde effect would be- I’m also aware it’s at the end of something being an Anaretic degree? Retrograde motion is supposed to lessen the impact of the fixed stars I believe. but I can’t remember how or where I learned that. Happy holidays, and all the best for 2016! This one is conjunct Saturn in my natal chart and since I was very little till my early twenty’s I had a reoccurring nightmare that my parents would be driving a car I was in, loose control and fall off the edge of a port and we’d all drown. It was always the exact same dream. I almost never wanted to be near water then and would still rather avoid bring near any port specially in a car until today…the beach is fine though. Interesting you have the fear of water. I have Sun here and am very wary to say the least of swimming at the beach for fear of sharks. The fact that Neptune squares this Saturn Markeb conjunction out of all the planets does not help either…i do like winter better! I was just looking at your chart. 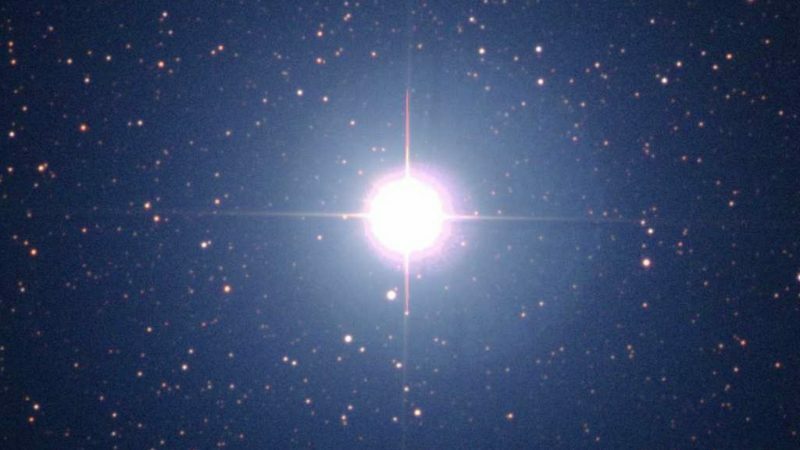 So this is your Sun’s fixed star. I would say it definitely describes you. I don’t know you that well, but it seems that’s you’re quite interested in philosophy, learning and have an open mind and I could imagine you being a voyager, but can’t travel too much, because of your little ones. I can’t travel for too long, because of my cat. I know it sounds crazy, but she’s my baby. With the Saturnian nature of the star, you’ve had your fair share of hard luck in life. And I also think that you’re quite a dedicated, loyal and committed man. That’s what my intuition tells me. And Saturn does bring loyalty and dedication. It’s a hard planet, but we all need a bit of it in our charts! I think you’re a great father too. That’s an example of the dedication, and I reckon that you really encourage your children too. Spot on Katie. I did travel a lot when younger and still even managed a lot of trip to the UK since being a single parent. Have settled down a bit now but the Internet and this website allow for a lot of interaction with people from different countries and cultures. The Saturn influence is grounding, promotes learning and teaching, brings some heavy responsibility like understanding how much my words can influence people who are going through tough times. Limitations too but now I see limitations and responsibilities as part of my special mission and important parts of my life to be thankful for. Like I know I could never have been the astrologer I am now without having children or partners I have had. Yes, I think that having children must change a person a lot. I’m sure the parent is doing much growth work, as well as a child. And relationships too! It’s all part of our karmic evolution! I even think that children come into a parents life for a reason – to help them too. It might be that the child helps them to lighten up, be free spirited, happy, playful etc and fill the parents heart with love. I remember when I was going through a hard time when Saturn was travelling through Scorpio a few years ago; I found so much joy in cuddling and playing with a friends 18 month old girl. It brought be so much love into my heart when she clinged to me like a little chimp, with her legs and arms wrapped round me and her head nestled into my neck. I’ve travelled a bit too – all over Central America (some of the best times of my life!) I still want to travel all over the world! Travelling is one of my biggest passions! I love the sense of freedom and seeing new places, scenery, culture. I love languages too! That love of travel just has to be Jupiter rising. Can’t wait to start writing up the AC and MC aspects in coming years. It’s definitely got to be Jupiter! I absolutely love to travel. At times I’ve felt that I just want to spend the rest of my life travelling and be a travel writer or something. Maybe I can get my sister to look after my cat for a while and disappear again to some far exotic land! I’ll look forward to reading your descriptions on the MC and AC aspects! I’ve definitely learnt a lot about astrology from you on here! No, I haven’t. I’d love to go – especially to the Northern Territory and Queensland! I’m a scuba diver, so I want to dive the Great Barrier Reef! I’m also fascinated by the beautiful aboriginal art and cave paintings! I think that the way of the aboriginals life is interesting and they seem quite spiritual. I’ve watched them on documentaries and like their quiet, calm, meditative, disposition. I’ve heard about the sea alligators, which have been a threat to humans in recent years on the Northern Territory coast. These Australian pre-historic sea reptilians are Giants! It must be terrifying to be in the sea with one of them! I’m going on again… ???? I tell ya – I wouldn’t wanna be “down under” with those crocs! Real life monsters but only up north thank god. You can still dive the best of the reef without worrying about them. Even the reef sharks are tame compared to the ones on the open beaches in the rest of Australia. Plenty or work all around Australia too on farms. Backpackers here are getting up to $200 a day for picking blueberries. That’s quite a good idea! Beautiful country with so much to see and so much natural diversity! What did you think about Jonny Depp and his wife bringing their pets over? Barnaby Joyce made me laugh with his response! You Ausie’s say it how it is! We were mostly embarrassed. Barnaby is a one off! I won’t swim at our beach anymore because of great whites. There was an increase in attacks around here last summer. Hope to see you here one day! Ah! Scary! I’ve got a fear of swimming with sharks. I’ve swam with nurse sharks, but they’re just harmless sharks that swim on the reefs. Yes, I’d definitely love to come to Australia – one of the many places I’d love to go to! I’ll let you know if there’s a time that I head over there. Just need the time and money! Come on Jupiter – fill up my purse please! ???? It`s exact opposite my natal sun :))) What it means??? Oppositions have no effect with fixed stars. Depending on the exact degree you might have your Sun conjunct fixed star Scheat though. My mercury is 29° Virgo and the seventh house. With 3 planets in Virgo I am always analyzing and, yes, philosophical too. What you think is caused by a Sun Sign will always be due to the fixed stars. I have Uranus 29 VIR conj Tesla on this star..conj my Sun at 25 deg..also conj Jupiter and Pluto.. and 30deg to my ASC perfectly.. I am an astrologer researcher..and I do get electric insights…on this topic. When Uranus transited my Rahu…the insights were deep profound..and electric and rapid..